The majority of people in Ada have faced foundation problems at some point in their life. One of the fastest ways to correct your foundation is through the support of concrete piers. In certain areas of Oklahoma we have clay in our soil. Clay particles cause the soil to be very expansive. Concrete piers work exceptionally well for leveling in these conditions. 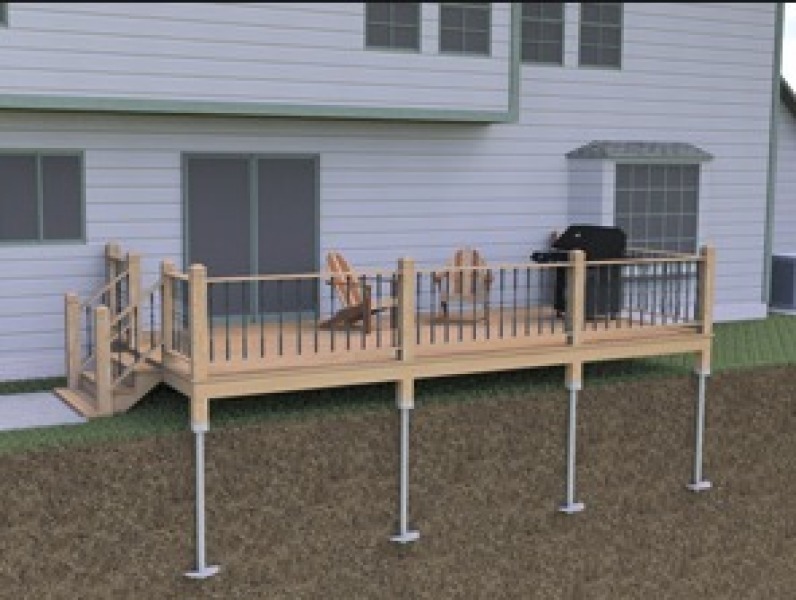 Our concrete pier method works by hydraulically pushing pre-casted 11,000PSI rated cylinders below your home or business to the super compacted soil, deep in the Earth. The concrete piers are a much larger than the steel piers. The large concrete piers (roughly 12″ tall by 6″) are driven deep in the earth until the pier will not drive any deeper. Typically the structure will only lift or recover at that point. This is referred to as Skin Friction, which is compact soil squeezing the much larger concrete pier, deeper and deeper, into the ground. Level Up Foundation Repair in Ada. 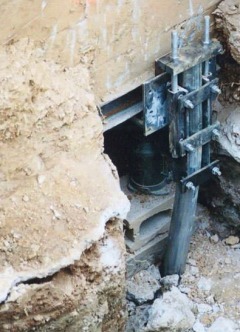 Concrete Piers Foundation Repair Contractor in Ada, Oklahoma.